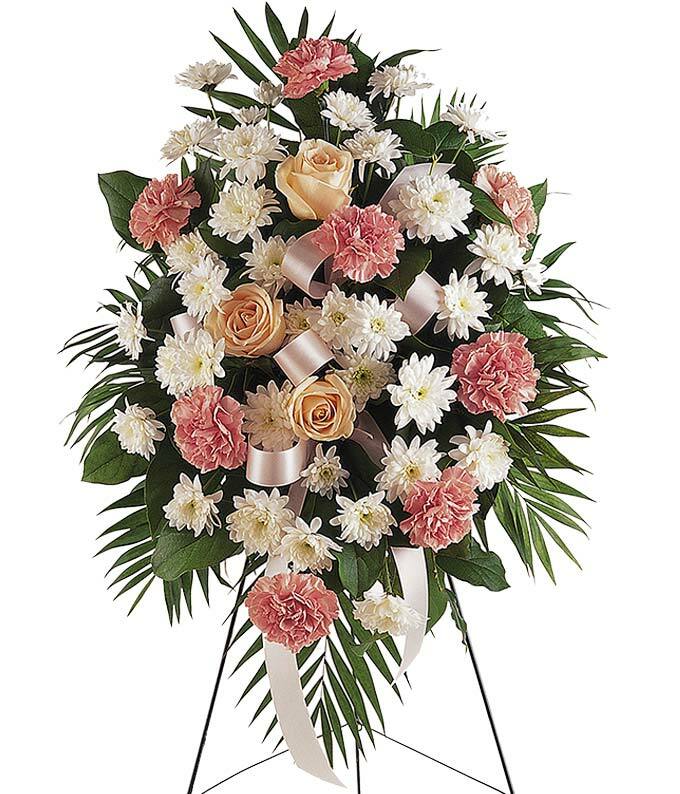 The Pastel Floral Sympathy Standing Spray is a beautiful funeral gift to send in memorial of someone who has passed. Created with seasonal pastel flowers including carnations, Chrysanthemums and roses. The flowers are arranged in an oval shaped on a standing spray design to be placed in a funeral home during a service.